Since the time of our inception, God has given us innumerable gifts and we don’t ever question why we need them. 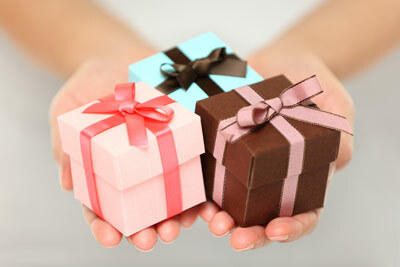 Gifts and presents are just tokens of our love, affection and thoughtfulness towards the receivers. Wrapped up in little and big packages, Gujarat Gifts delivers joy and pleasure to your near and dear ones and make life a little more gratifying for them. Graduation Gifts: Passing out of college is one of the most memorable moments of our lives. It is a time to dream and take new flight. It is also a time to say goodbye to your old friends and college. Personalised T-shirts, mugs or 3D crystals with your most memorable college moments on them make excellent gifts for your friends. Gifts on Promotion: You work hard and give your best to your job for the much-awaited promotion. Many-a-times, people do not take a chance to stop because they want to make it to the top so strongly. Of course, you want to give them best ‘congratulations’ gifts that they deserve. From gorgeous fresh flowers and fruits combos to chic office gifts are perfect for an employing moving up the career ladder. A photo mug or a keychain is also a good way to remind them of you all the time. Wedding Gifts: You know enough people that recycle unwanted and untouched wedding gifts and pass them on to others. Instead of buying just one more set of bowls or cotton bedding set for next wedding you are attending, choose something for the couple that they will treasure. Bouquets of red roses, yummy chocolates and mouth-watering cakes make good gift combos for couples who opt for close friends who are going for a love marriage. Home and kitchen appliances may be more suitable for family wedding events and arranged marriages. Gifts for New Parents: We all agree that babies are God’s best gifts. As babies stare at us with their curious, inquisitive eyes, we want to present them nothing but the best. Teethers and soothers that make them wiggle with delight and baby beds where they can sleep like angels at night make excellent gifts for little babies and their parents. Housewarming Gifts: Buying a home and setting it up is not easy for any proud home owner. A new home is the symbol of one’s love, memories and progress. Feng Shui gifts or spiritual gifts that symbolize wealth and prosperity and are believed to attract divine blessings are worthy gifts for such an occasion. Beautiful fresh flower bouquets can lend warmth and beauty to a new home too. Retirement Gifts: After a long lifetime of hard work and dedication, retirement is a moment to cherish. It is not easy for most people to bid farewell to their long-standing colleagues and work place just like that. Personalised gifts with meaningful text messages, evergreen branded watches, photo cubes capturing office moments and timeless gold and silver coins make admirable retirement gifts. The Best gifts are those that preserve the memories of yesterday and create more memories today. So choose well!